Developers are responsible for making available the changes they work on by merging in development branches into release branches. In our example, development branches are merged into next as features are ready to be released at the next release cycle and next is merged into 2.next to make the changes available. 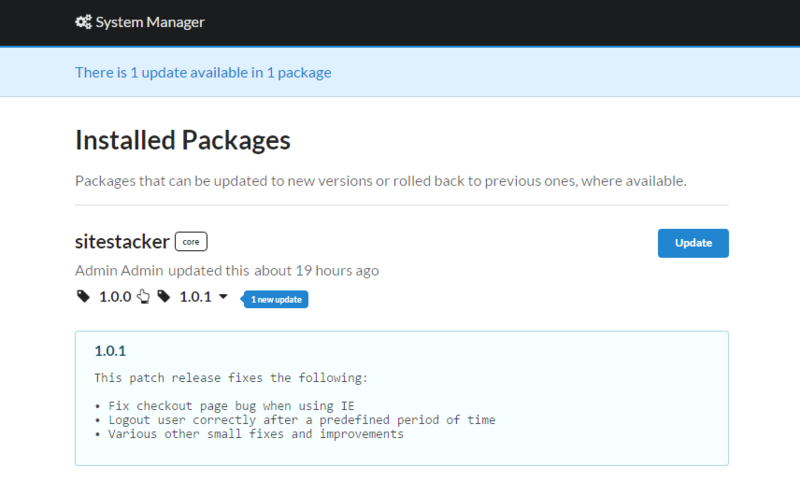 After the changes are pushed into a release branch, they become available immediately on the development server, without needing to create a tag. Note: When you create a release in this way, you can be sure that the release will only contain the changes that were already installed on this server, and nothing else. If you don’t use the Create release button from System Manager, you’ll have to enter the commit hash manually in the Create from field in GitLab. Note that the Release notes section is ignored because that information is only stored in GitLab’s database. The tag message is optional and can contain additional information that the client will see when updating in System Manager. There’s no need to reiterate here all the changes in the release, because this is done automatically based on commit messages, as explained in the Changelog. The tag message can contain references to any external materials, etc. so the client knows what to expect when updating. Once a tag is created, it will become available on the installations that have that release branch configured in System Manager. In our example, it will become available on the development and test servers. At this point the release can be tested on the test server and, if everything is ok, the production server can be updated when the release lands in the stable release branch (e.g. 2.x). If issues are found, the developers should fix them and the release process will restart. Once the “next” release branch (2.next) is merged into the stable release branch (2.x) at each release cycle, the releases become available on the production server. To edit an existing release, you need to delete the tag and create a new one in place. You first need to find it. You can use the View release button in System Manager on the development server or you can search for it on GitLab. 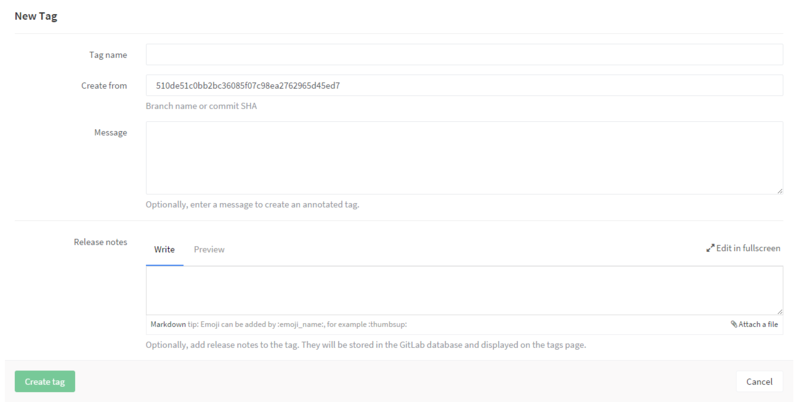 Paste the copied commit hash in the Commit from field and then follow the steps for creating a release in GitLab. You might want to also copy the message from the existing tag.